Got a thread going as a way to see how interested people would be in this concept. Short of it is just an emoji that hovers in your spot for a second that shows an "unable to speak" icon for people who are mute for whatever reason there can ever be. Most of the idea is in that thread but that's the jist of the idea. 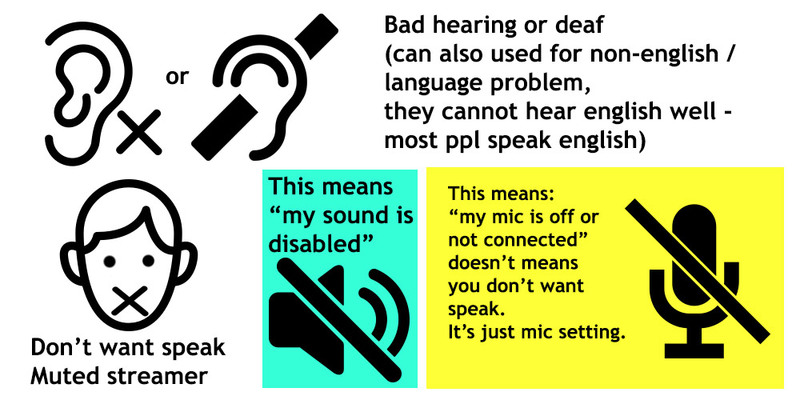 I like the idea too, but i want also another icon: i am bad hearing or deaf. This way people know thay should not talk to deaf/bad hearing and they must use pencils or use hand gestures / invite when needed to Presentation Room. We can see them better and much less misunderstandings in communicating. 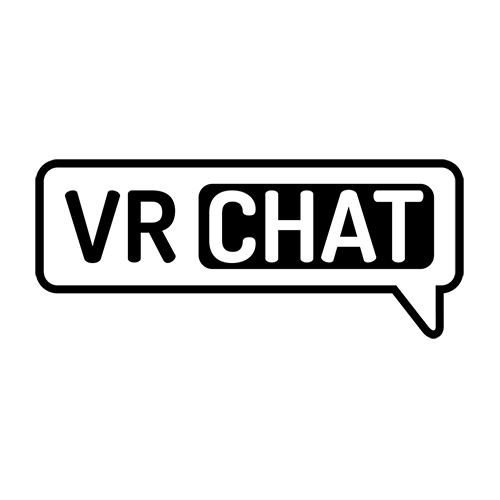 The icons must not same as other icons where are already used in VRChat: no sound and no mic (no sound / sound blocked) but better show as different icon to make it clear! There are pretty much mute streamers and we should give chances for deaf / bad hearing people. Because that is problem if we are trying talk to them, and they don't react to you, you will think they are just ignoring you. That is misunderstanding. Talking to them is also useless, it wont help much. yeah, just a mic with a red circle and a line through it would suffice. @Firestorm185: The only thing is, it needs to be floating on the char or something, or else people will think it's aimed at them and they're wanting to be muted. Someone also said similar of people trolling with this by spamming on someone to tell them to "stfu" or something. Needs to be something subtle but understandable that it's used for the person using it, not towards someone else. Every once in a while I lose my voice, and I literally can’t speak. I support the idea.